Chapter 7 offers a quick fresh start for debtors who do not have the income to pay their debts. It is known as a liquidation bankruptcy because in a Chapter 7, a debtor’s property can be liquidated or sold off to pay creditors. Most Chapter 7 debtors do not lose any property because the law offers fairly generous exemptions to the liquidation process. In Washington, debtors can choose either state or federal exemptions but cannot use both sets of exemptions. In general, state exemptions are better for someone with significant equity in their home, and usually, federal exemptions are better for those who do not. For Chapter 7 debtors who are making payments on a car, house, or other expensive item, they can surrender the property and walk away from the debt or continue to make payments and keep the property. Creditors who loan money for cars, homes, etc. are known as secured creditors because the loan is secured by a lien on the property. Generally, liens survive bankruptcy, though the bankruptcy discharges wipe out a debtor's obligation to pay the debt. Secured creditors prefer that debtors sign a reaffirmation agreement where the debtor agrees that the obligation to pay the debt is not discharged. Car companies can repossess a car if the debtor does not sign a reaffirmation agreement, even if they remain current on the loan after bankruptcy. Many car companies still allow the debtor to keep making payments without a reaffirmation, but they do not have to. Usually, mortgages and car lenders will not lower the amount of loan in the reaffirmation. 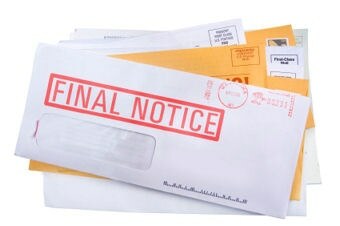 Other secured creditors, such as lenders for furniture, electronics, and appliances may work with you to lower the debt. To qualify for a Chapter 7, a debtor must pass a means test to show that their income is low enough to get the fast fresh start it offers without abusing the bankruptcy system. The means test starts by looking back on a debtor’s last six months of income. If last six months' income was less than the average income for the debtor’s household size, the means test goes no further, and the debtor is deemed to not be abusing the bankruptcy system. If it is above the median income, expenses are deducted to see if any monthly income is available for unsecured creditors, such as credit cards, medical bills, and signature loans (debts that are not backed up by property). Some deductions are the debtor’s actual expenses, such as secured debt payments, health insurance, taxes, child support, and day care. Some expenses are limited by the IRS tax repayment regulations, such as food, clothes, rent, and transportation. If the means test shows an ability to pay some unsecured debt, the presumption of abuse can be overcome by showing special circumstances, such as a sudden change in household size or income or that the last six months' income was unusually strong and unlikely to be continued. The bankruptcy court can dismiss a Chapter 7 or force the case to be converted to a Chapter 13 repayment plan bankruptcy if it finds the debtor abused the system by filing a Chapter 7. If you're struggling with debt and want to know if Chapter 7 is right for you, contact the experienced Seattle, WA bankruptcy attorneys at the Law Offices of Jason S. Newcombe. During your free consultation, we'll let you know if bankruptcy is the best option for your unique situation.